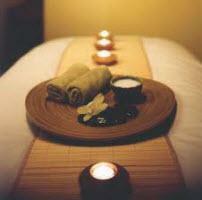 Here are some tips for helping you get the most value from your massage. #10 is the most important. If you have an appointment, arrive early. If you just walk in, don't be in a hurry to leave. Don't be too cheap. A 30 minute massage can be great in the right hands, but at $60-70/hour, a massage is so cheap anyway why would you go to the effort of going there and cut the experience short? $70/hour may sound a lot, but do you have any idea what your mechanic is actually charging as an hourly rate? About double that, and he is getting that for 8 hours each day. Masseuses can have a lot of downtime waiting for customers. Tell the masseuse what you want. The first advice is whether you want therapy or relaxation. From there you can be specific about particular requirements. My normal patter goes something like: "I want a relaxing massage including my feet and finishing with a head massage, but my neck is always stiff so could you please give it a little treatment". Of course the more you want covered, the longer you need to allow to ensure it all gets done properly. A good head massage is 7-10 minutes, a foot massage is 5 minutes minimum per foot each, so if you also want a full body massage this will require a full hour service. Tell the masseuses about injuries. If you have any injuries - let them know whether you want it treated or left alone. Don't be TOO polite. Don't be shy to ask for the music to be turned down, or air conditioning to be adjusted. Small talk is ok. Research shows that the majority of customers enjoy some communication with the practitioner, at least in the early part of a session. It helps build a rapport that translates into the customer feeling comfortable with the masseuse, and the masseuse feels that they are not just a servant. While you will inevitably become less chatty as your body relaxes, don't hesitate to give the masseuse feedback about what feels good, or if there is pain / discomfort. I once had a foot massage in Singapore that was incredibly painful and despite my grimaces and advice that it was too hard, the masseur soldiered on until I had to stop him and ask for another masseur. Such occurrences are rare, but the only chance to fix a bad or unsuitable massage is while it's happening. Complain quickly. If you ARE having a bad experience, give the business the opportunity to rectify it, rather than enduring it then rushing off to give them a smack-down review. Any decent business will seek to make amends for a win-win situation. Occasionally a business will give you a trainee who doesn't yet have a full range of skills. If this becomes evident and you want an experienced masseuse, then say so before it's too late. Be aware of personal hygiene. The only valid critic is a balanced critic. Be as generous with online compliments as your are with criticisms. If you've had a great service, find the business online and leave a positive review. Most review sites require an account, but make the effort to create at least one account somewhere like TrueLocal, StartLocal, Yelp. Many businesses also have a 'Google My Business' page where reviews can be left after logging in with your Google account. A massage session is NOT the time to be performing mental arithmetic, going over the fight you had this morning with your partner, or worrying about that upcoming prostate inspection. Focus on the touch of the practitioner, your breathing, how nice it feels to be indulging in something totally focused on your personal well-being. If you need some quiet time to contemplate other issues, make separate time to focus on those. If you are thinking about your schedule / responsibilities / customers during a massage you'll end up thinking of things you want to write down, then you'll start worrying that you'll forget it, then all that calm is lost. Note. We have used the term masseuse here for simplicity. Obviously it applies equally to a masseur.